North Korea fired another missile over Japan early Friday, the second launch over Japan in recent weeks. The missile was fired eastwards from the capital Pyongyang, the South Korean military says. Japan initially warned its residents to take shelter. The missile appeared to fly over Hokkaido, according to government alerts, landing around 7:16 a.m. local time in the Pacific Ocean — a similar path to the missile fired by North Korea over Japan in late August. Details were still being analyzed by the U.S. and South Korea, that country’s military said in a statement. What kind of missile was launched? A statement from the Pentagon said the latest test used an intermediate range ballistic missile, but that it did not pose a threat to either North America or Guam. How does this compare to the August launch over Japan? 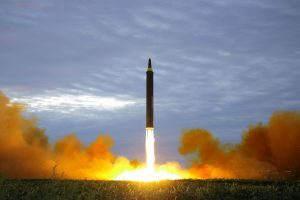 The BBC reported the missile traveled about 2,229 miles with a peak altitude of 478 miles, “considerably higher and further” than the missile launched in August. The United Nations Security Council sits to meet on North Korea after their Sept. 3 missile test. Photo by REUTERS/Joe Penney. Friday’s launch is the latest attempt by North Korea to test the technology the country would need to launch an intercontinental ballistic missile (ICBM) capable of hitting the United States. The test “[crossed] a key threshold in its weapons development efforts,” Reuters reported, and prompted the U.N. Security Council to pass a new round of sanctions against Kim Jong Un’s regime. The new sanctions limited North Korea’s oil supply and banned textile exports, among other restrictions. Many believe these sanctions prompted Friday’s missile launch. North Korea’s ambassador to the U.N. said they would make the U.S. “suffer the greatest pain it has ever experienced in its history.” But others say the test would have happened with or without action from the U.N. The State Department said it agreed with Trump’s strategy to pressure North Korea. But many world leaders said the harsh words were aggravating tensions — not easing them. “I think escalating the rhetoric is the wrong answer,” German Chancellor Angela Merkel told the Associated Press at the time. “These continued provocations only deepen North Korea’s diplomatic and economic isolation,” he added. The launch comes as the U.N. General Assembly prepares to meet next week for its annual summit in New York, where the group will discuss, among other issues, how to deal with the growing threats from Pyongyang. “The international community should unite against such conduct to send a clear message … The recent sanctions and resolutions must be fully complied with and implemented. That is now ever more clear. If North Korea continues to walk this road, there will be no bright future. We need to get North Korea to understand that,” he said in a statement. 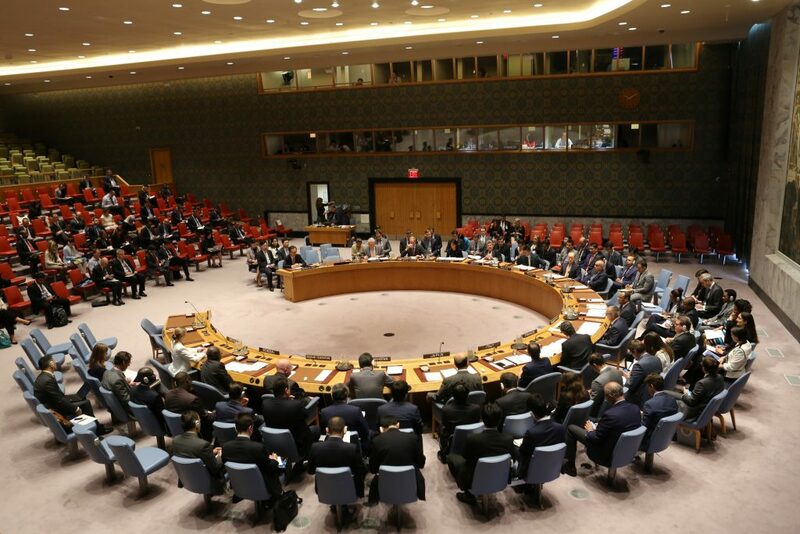 South Korea has called an emergency meeting of its own security council, the Guardian reported.